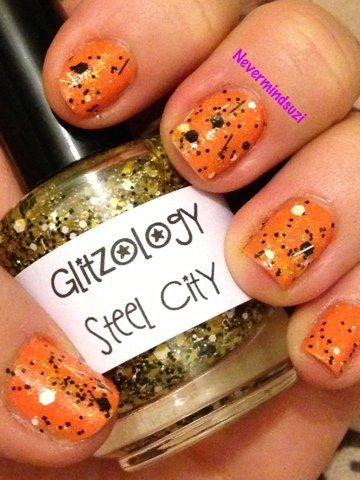 This is the last if my recent Glitzology haul and I've got Steel City to show you. It's all the first "non-Christmasy" mani I've fine in a while. I like it though its very bumble bee-ish. 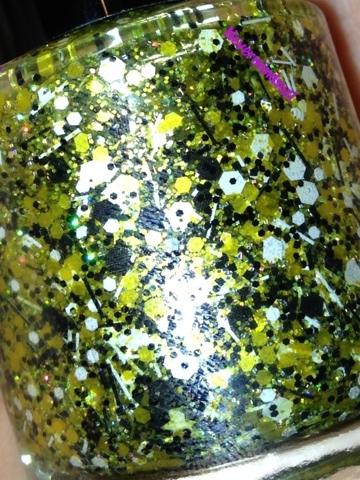 For the undies I used 2 coats of Essence - Doc from the Snow White Collection. Topped with 1 coat of Steel City. 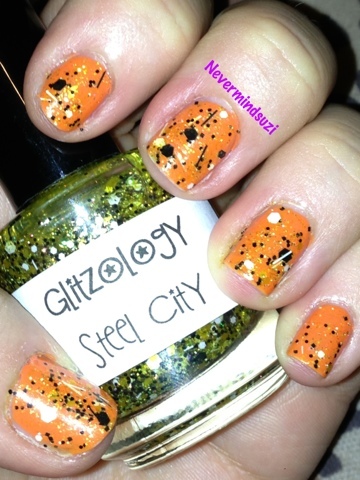 Steel City is a clear base full of yellow shimmer (that has a holographic twinkle. 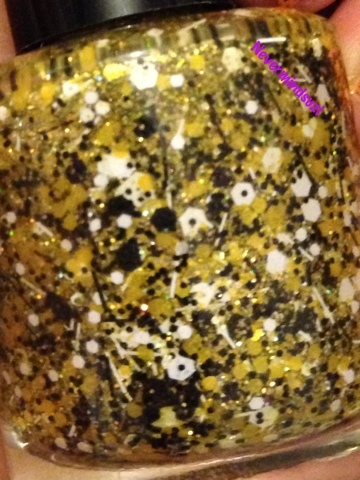 Add to that yellow, black and white glitters (of various sizes) and some white and black bar glitters (whilst I don't love bar glitter these aren't too bad). The finished look is quite unique and makes me feel ready for the spring.